Hello there my fellow egg hunters. 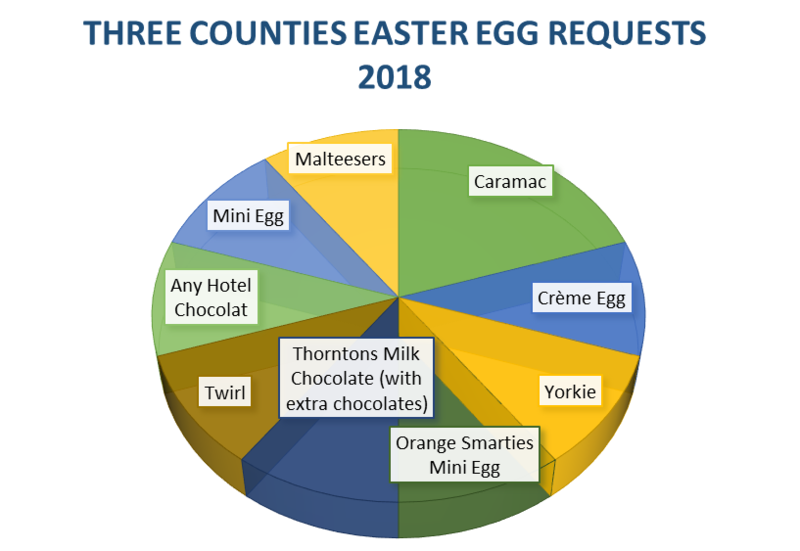 This week’s blog has a very definite Easter theme, so unwrap a chocolate egg or two and absorb the current musings within the halls of Three Counties. Hasn’t Easter crept up on us this year? How many times have you heard that? How many times have you said that? Well it is true and here we are, on the cusp of putting our order in at our favourite fish shop because that’s the done thing. Returning to more mundane matters of finance, as detailed in last week’s blog, there is a noticeable return of volatility to global markets after the absence of this for the past few years. Although we have seen in recent days a significant bounce-back in indices (the Dow Jones Industrial Index surged 669 on Monday, its third biggest daily point gain in history) sentiment is showing that the easy gains made by equity markets are well behind us. So what does this mean for investors? Firstly, that market volatility is something that should be embraced, or at least accepted. Without volatility there cannot be real returns; there must be winners and losers in the market, as without one there cannot be another. And this leads me onto my next point. Since the global financial crisis, central bank intervention has flooded the capital markets with easy money, pushing down inflation and interest rates. This is turn has led to corporates being able to raise debt at low levels in order to fund share buybacks, artificially inflating their share price, which allows them to repeat this cycle. We would suggest that we are entering a new phase in the market, one which could benefit and hinder investors equally. There has been a huge push into passive investments over recent years as markets surged ever higher and investors chose their strategy based upon cost alone. As a direct result, money continues to flow out of their actively managed counterparts into passive vehicles as gains were ultimately taken for granted and the only question on selection would be the underlying cost. If an active manager was charging 0.75% and a passive tracker was charging 0.10%, why take on additional costs? And in part, we agree. In part. Fund flows are always interesting to watch. Perhaps a leading indicator? Perhaps not. But after several meetings that I have held over the past week with some of the UK’s leading investment houses and in accordance with my own discussions with my colleagues and peers, recent flows out of passive funds may offer some guidance. February saw the first negative flow out of Exchange Traded Funds (ETFs) in the US for the first time since January 2015 (an ETF is an intra-day traded index tracking fund). All told, US ETFs had outflows of $4.4bn during the month, although in January, before the spike in volatility, they saw inflows of over $68bn. Big numbers. However, this could simply be a blip; numbers in isolation mean very little. One thing that is very true is that if the market is to fall, the passive fund tracking will fall in exactly the same way. Again, that in itself is not a bad thing – market volatility has to be accepted if you are to make longer term gains over and above inflation. However, these massive flows into the same stocks create a significant concentration issue as everyone is investing in the same thing. Within the UK, the vast majority of passive investors have the majority of their exposure to the FTSE 100, a frankly terrible index in diversification terms (over 75% of the earnings are from outside of the UK, are declared in US dollars and the top 10 holdings of the index account for over 40% of its entirety – diversification?). If everyone is invested in the same index and that index is rather concentrated in its own right that is an issue. If those same stocks have risen uninterrupted for the past few years to the extent that they are clearly overvalued, what do you think may happen? What if everyone wants to sell at once? What if everyone is going for that crowded exit at the same time? That’s investing. That’s the benefit of diversification. And that, ladies and gentlemen, is a reason why we may be seeing a turning tide away from uber-cheap passive funds that simply buy the market, back to actively managed stock picking funds that do charge more, but could offer meaningful diversification away from the index. However, your choice must be made with the understanding of the process, the view and the holdings of the manager. Piecing together a well-diversified portfolio that can reap the rewards that are still on offer within today’s market, even if it will be more difficult moving forward. Again, understand why you are investing and what you are investing in. That way you can invest in comfort. And now for the Easter bank holiday weekend playlist. Please enjoy, don’t go too daft on the chocolate eggs, and I will see you all next week.